Finally there looks to be an effective and natural treatment for osteoarthritis. 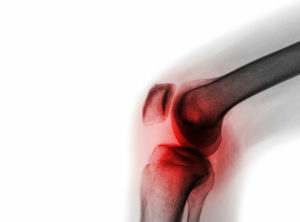 It’s estimated that 27 million Americans or 12% of the adult population has some degree of osteoarthritis. And for those who are over the age of 60, you most likely have some degree of this disease, although the severity can vary. If you have osteoarthritis, then it effects joint mobility, which induces varies degrees of pain while diminishing the quality of your life. And the unfortunate reality of current drugs is that they’re primarily aimed at pain relief. Not addressing the root cause, which for most is loss of joint cartilage leading to inflammation and bone loss. Additionally, these drugs are only about 50% effective in addressing pain symptoms. We’ll examine their study in more detail below. But a quick overview shows that these plant extracts reduce cartilage damage while suppressing pain and inflammation. This study was published in 2017. It purpose was to examine the benefits of cutch tree and white mulberry extracts on addressing the discomfort of osteoarthritis while also improving joint mobility of the knee. All three treatment programs used capsules so that no one knew what they were getting. And the study lasted for 12 weeks. Initially, all three treatment programs produced the same relative pain relief. However, by day 56, those taking the Cutch Tree / White Mulbery herbal extract combination had significantly greater reduction in pain when compared to the other two treatment programs. And the Cutch Tree / White Mulberry group had less knee stiffness. Now pain measurement can be a subjective feeling. To help quantify the potential for pain relief all the study participants had urine tests done. The researchers were looking at the urinary levels for C-terminal crosslinking telopeptide or CTX-II. This urinary test measures the breakdown of collagen and can be used as an indirect measurement of joint destruction. Urinary CTX-II levels rose sharply in the placebo group. For those taking the glucosamine/chondroitin combination there was no change in their urinary CTX-II levels. But for those taking the Cutch Tree / White Mulberry herbal extract, they experienced a significant decrease in urinary CTX-II levels. The meant that this natural treatment for osteoarthritis was protecting the joint against further damage. And the researchers believed that this natural herbal combination could reduce the risk of the further progression of osteoarthritis over time. White Mulberry – comes from root bark and has long been used in natural medicine to address a wide range of health issues like infections, high blood sugar, ulcers, pain, and inflammation. The root and bark of the mulberry tree are particularly high in flavonoids and stilbenoids, which have pain and inflammation relieving properties while helping to preserve joint integrity. One additional study examined the impact of Cutch Tree and White Mulberry on the breakdown of proteoglycans, which is an essential component of the cartilage matrix used to cushion and lubricate joints. This study found that these two natural plant extracts reduced cartilage breakdown by 31 – 54%. The difference depended on the amount used. In animal studies, this combination reduced pain by as much as 40% by the fifth week. Not only was pain sensitivity reduced, but when these animals were dissected bone damage was found to be minimal. And it’s bone damage that ultimately leads to joint failure. Given the current research, this natural treatment for osteoarthritis, which is the use of a Cutch Tree and White Mulberry herbal extracts, seems to provide anti-inflammatory and pain-relieving properties. And shows significant probability in reducing cartilage degradation and joint destruction.